Create an endearing keepsake for a newborn baby with a handkerchief and a few stitches. A small baby bonnet made out of handkerchiefs is a unique and special idea for a baby shower , baby gifts and more. 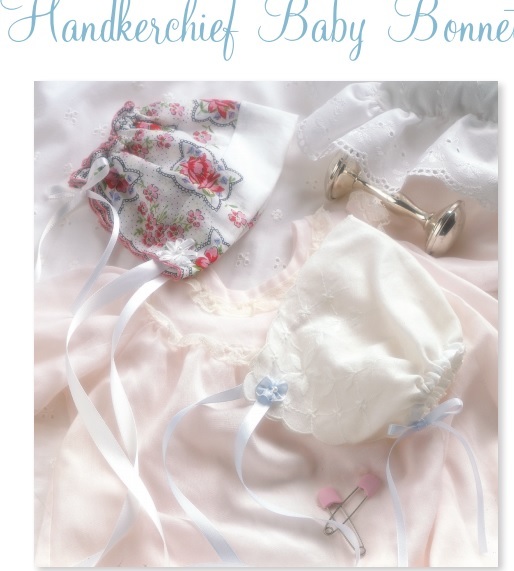 Using a wedding handkerchief or a special one that is made to suit baby. Often times these hankie bonnets become family heirlooms as the bonnet used on the baby's christening day are used once again as "something old" for their wedding day. Making these baby bonnets is easy to do.